Tangled and True: wanting to try. Recipes I've seen around the web and am really wanting to try. If you've tried them.. I'd love your reviews. 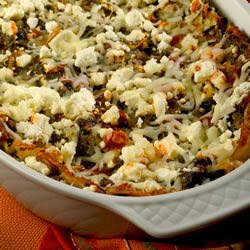 I want to try the spinach artichoke lasagna too! We had the black bean burritos last night and they were very tasty. I really liked them but I think dh thought they were just okay. (He's not a huge fan of beans.) I'll definitely make them again though! Well, I can personally vouch for the gyros. :) They really are good and super easy to throw together on a day when you know dinner time is going to be busy. The other recipes look fantastic! Spinach Artichoke Lasagna? That's right up my alley. that spinach artichoke lasagna looks delicious! 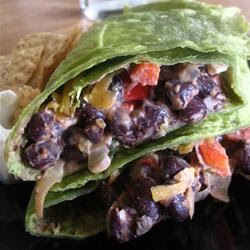 Black bean burritos: I think they are delicious. I've never added the bell peppers or the jalapenos. My husband and his brother (both of which LOVE meat) really liked them. 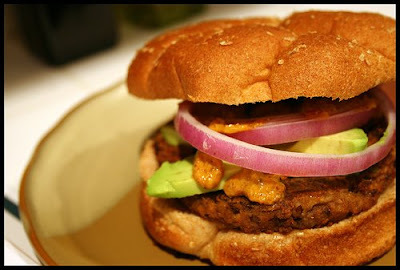 Spicy black bean burgers: Very, very good. A little crumbly which makes them slightly hard to shape. Also, they were way too spicy for me. Next time I'd leave the hot pepper out. They all look yummy! 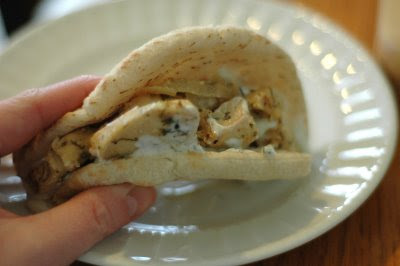 I love making gyros, when I'm feeling lazy, I substitute honey mustard for Tzatziki, and it's so good! 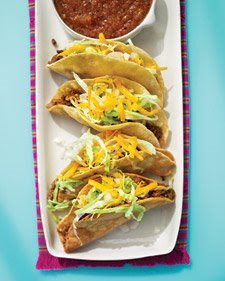 After I saw this post, I made the Crispy Taco Picadillo (but used soft tortillas because my husband doesn't like hard). The meat was very tasty - I think it will be my staple taco meat from now on. black bean burritos? yes please! with lots of avocado! I made the gyros the night after reading this post, and they were easy as can be and delicious. The only thing that would have made them better is if I'd had the time to make the pitas homemade. Next time.....which will be soon! Thanks for sharing the recipes--the others are all on my list to try, too. One of my super-duper favorites! (Avocado Feta Dip with Homemade Pita Chips) Yum!